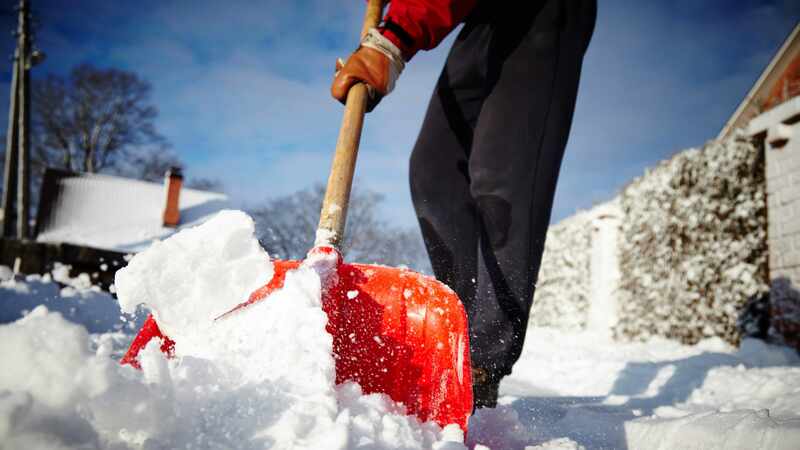 Shoveling snow can mean taking on more than your body can handle. And ignoring signs that you need to take a break from shoveling may prove to be harmful. If you have a history of heart problems and are currently inactive, it’s best to speak with your health care provider before shoveling. Additionally, don’t shovel while smoking, eating or after consuming caffeine; this may place extra stress on your heart. Wear several layers of clothing. You can always remove a layer if needed. Remaining hydrated during cold-weather months is just as important as during warm-weather months. Warm up your arms and legs. Stretch your arms and legs before beginning to shovel. You are less likely to injure muscles when they are warm. Pace yourself and take breaks if you need to. Safety is more important than speed. Bend at the knees, not the back. Lift with your legs bent, stand with your feet hip-width apart for balance and keep the shovel close to your body. Also, don’t pick up too much snow at once; use a small shovel or fill up a large shovel no more than half way. Shovel while snow is fresh. Freshly fallen snow is lighter than snow that has started melting. This is the most important snow shoveling tip. If something feels abnormal, or if you’re tired, it’s time to stop.